Onychomycosis is a fungal nail infection caused by dermatophytes, non-dermatophyte molds, and yeasts. Treatment of this infection can be difficult, with relapse likely to occur within 2.5 years of cure. The objective of this article is to review factors that can impact cure and to suggest practical techniques that physicians can use to maximize cure rates. Co-morbidities, as well as disease severity and duration, are among the many patient factors that could influence the efficacy of antifungal therapies. Furthermore, organism, treatment, and environmental factors that may hinder cure include point mutations, biofilms, affinity for non-target enzymes, and exposure to fungal reservoirs. To address patient-related factors, physicians are encouraged to conduct confirmatory testing and treat co-morbidities such as tinea pedis early and completely. To combat organism-focused factors, it is recommended that disruption of biofilms is considered, and drugs with multiple routes of delivery and unique mechanisms of action are prescribed when traditional agents are not effective. Extending follow-up periods, using combination treatments, and considering pulse regimens may also be of benefit. Through these practical techniques, physicians can maximize cure and limit the risk of relapse and re-infection. No funding was received for the writing of this manuscript. Dr. A.K. Gupta is a clinical trials investigator and speaker for Valeant Canada, and a clinical trials investigator for Moberg. S.G. Versteeg is employed by Mediprobe Research Inc., a site where clinical trials are run under supervision of Dr. A.K. Gupta. Dr. V. Piguet reports receiving educational grants in his role as Department Division Director, Dermatology, University of Toronto (on behalf of the Division of Dermatology Residency Program) from Abbvie, Celgene, Janssen, Naos, Lilly, Sanofi, and Valeant, and non-financial support from La Roche-Posay, outside the submitted work. Dr. B.M. Piraccini has received consulting fees and/or honoraria from Isdin, Pfizer, and Polichem. Dr. N.H. Shear and Dr. A. Tosti have no conflicts to declare. Lamisil (terbinafine hydrochloride) tablets, 250 mg (package insert). Drugs@FDA: FDA approved drug products. 2012. http://www.accessdata.fda.gov/drugsatfda_docs/label/2012/020539s021lbl.pdf. Accessed 14 Jun 2018. US Food and Drug Administration. Medical devices and clinical trial design for the treatment or improvement in the appearance of fungally-infected nails: guidance for industry and FDA staff. 2016. http://www.fda.gov/downloads/MedicalDevices/DeviceRegulationandGuidance/GuidanceDocuments/UCM431312.pdf. Accessed 14 Jun 2018. Hayette M-P, Seidel L, Adjetey C, Darfouf R, Wéry M, Boreux R, et al. Clinical evaluation of the DermaGenius® nail real-time PCR assay for the detection of dermatophytes and Candida albicans in nails. Med Mycol. https://doi.org/10.1093/mmy/myy020 (epub 2018 May 11). Noxafil® (posaconazole) injection 18 mg/mL; Noxafil® (posaconazole) delayed-release tablets 100 mg; Noxafil® (posaconazole) oral suspension 40 mg/mL (prescribing information). U.S. Food and Drug Administration (FDA); 2015. https://www.accessdata.fda.gov/drugsatfda_docs/label/2015/022003s018s020,0205053s002s004,0205596s001s003lbl.pdf. Accessed 16 May 2018. Pfizer. DIFLUCAN® (fluconazole tablets) (fluconazole for oral suspension). U.S. Food and Drug Administration (FDA); 2014. https://www.accessdata.fda.gov/drugsatfda_docs/label/2014/019949s060,020090s044lbl.pdf. Accessed 16 May 2018. Kerydin (tavaborole) topical solution, 5% (package insert). U.S. Food and Drug Administration (FDA). http://www.accessdata.fda.gov/drugsatfda_docs/label/2014/204427s000lbl.pdf. Accessed 16 May 2018. Efficacy and safety study of ME1111 in patients with onychomycosis. ClinicalTrials.gov. 2013. https://clinicaltrials.gov/ct2/show/NCT02022215. Accessed 16 May 2018. Valeant. Product monograph: Penlac (ciclopirox topical solution, 8% w/w) nail lacquer. 2012. https://pdf.hres.ca/dpd_pm/00015736.PDF. Valeant Pharmaceuticals. JUBLIA® (efinaconazole) topical solution, 10%. Drugs@FDA. http://www.accessdata.fda.gov/drugsatfda_docs/label/2014/203567s000lbl.pdf. Accessed 14 Jun 2018. Novartis Pharmaceuticals Canada Inc. Pr LAMISIL* (terbinafine hydrochloride) 250 mg tablets (expressed as base) topical cream 1% w/w (10 mg/g) topical spray solution 1% w/w (10 mg/g) antifungal agent. 2013 Health Canada Drug Product Database. https://www.ask.novartispharma.ca/download.htm?res=lamisil_scrip_e.pdf&resTitleId=728. Accessed 14 Jun 2018. Novartis. LAMISIL (terbinafine hydrochloride) tablets, 250 mg. Drugs@FDA. http://www.accessdata.fda.gov/drugsatfda_docs/label/2012/020539s021lbl.pdf. Accessed 14 Jun 2018. Janssen Pharma. Sporanox® (itraconazole) capsules. Drugs@FDA. http://www.accessdata.fda.gov/drugsatfda_docs/label/2012/020083s048s049s050lbl.pdf. Accessed 14 Jun 2018. Jublia® (efinaconazole) topical solution, 10%. Drugs@FDA: FDA approved drug products. 2014. https://www.accessdata.fda.gov/drugsatfda_docs/label/2014/203567s000lbl.pdf. Accessed 12 Jun 2018. 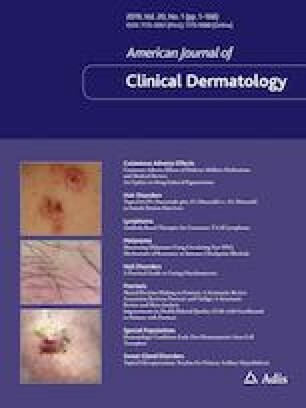 Salakshna N, Bunyaratavej S, Matthapan L, Lertrujiwanit K, Leeyaphan C. A cohort study of risk factors, clinical presentations and outcomes for dermatophyte, non-dermatophyte and mixed toenail infections. J Am Acad Dermatol. https://doi.org/10.1016/j.jaad.2018.05.041 (epub 2018 May 31).